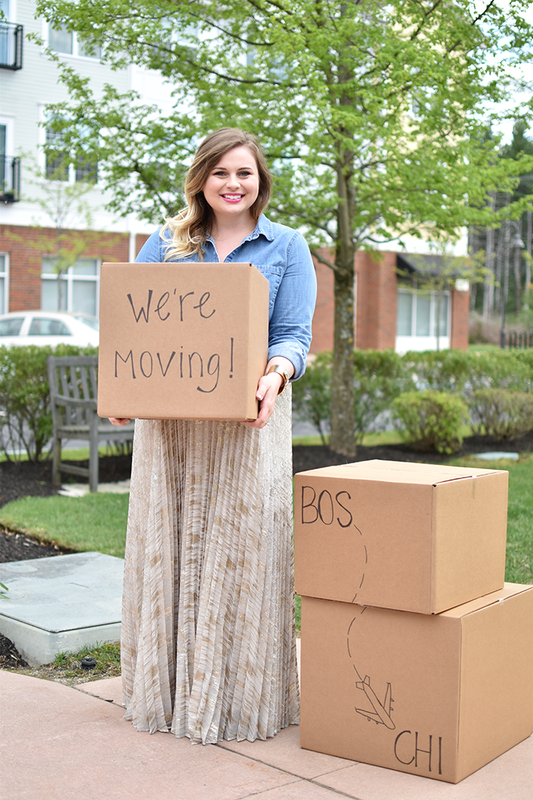 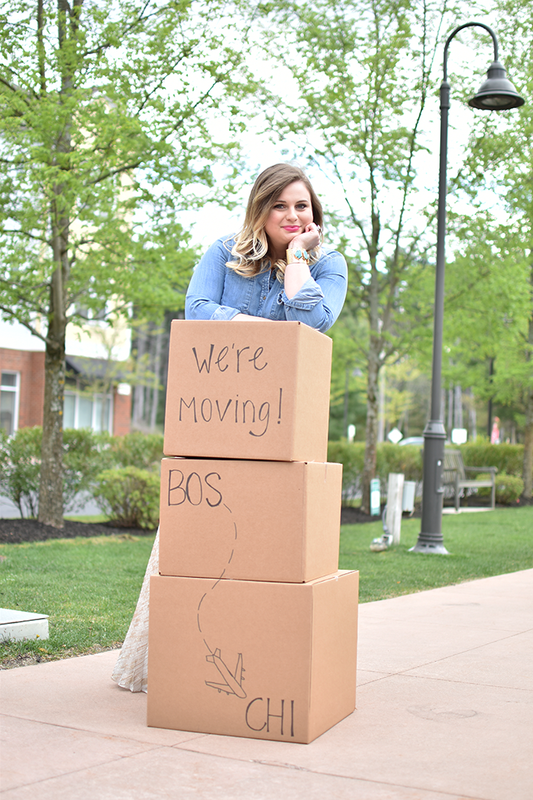 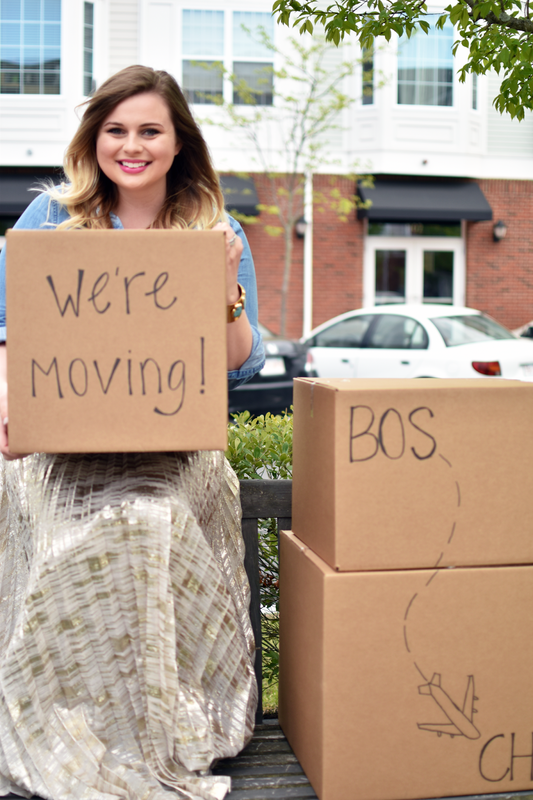 Mrs. on the Move : We're Moving! 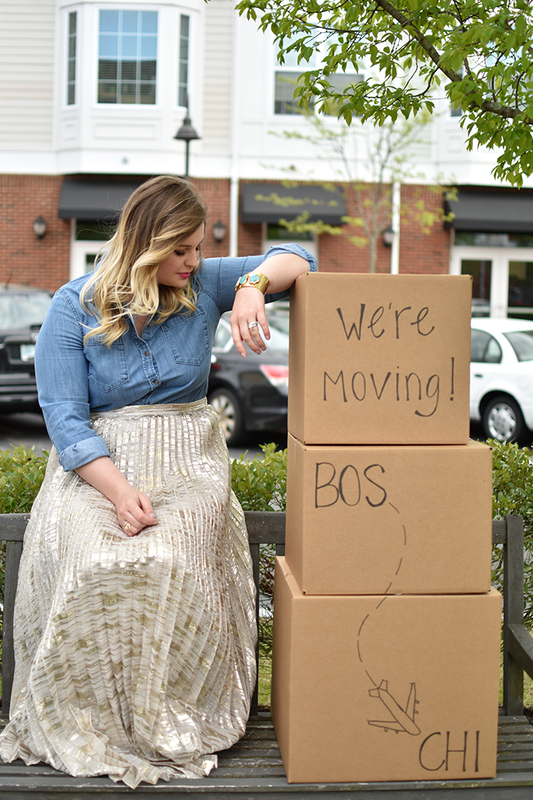 Holding in our big announcement for the past couple of weeks has been pretty hard. 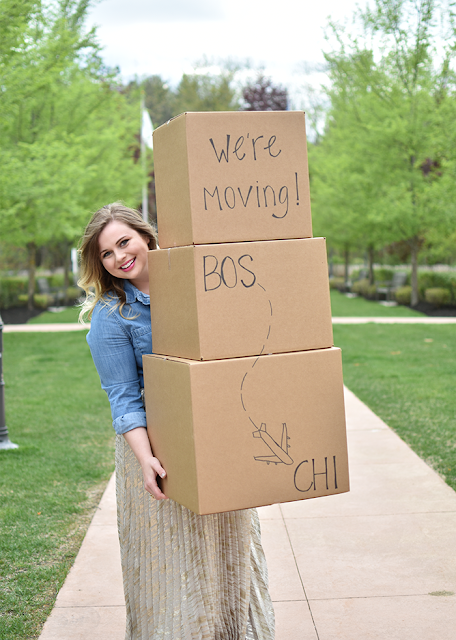 We shared our news family and closest friends, but now I’m excited to finally be sharing with all of you that Kyle, Pecan and I are moving to Chicago! When we move things tend to happen pretty quickly, so the past couple of weeks have been filled with endless apartment searching and the next few will be busy with packing and preparing to actually move. It can be a little hectic, but I really love the excitement of moving to a new city and all the adventures that come with it! 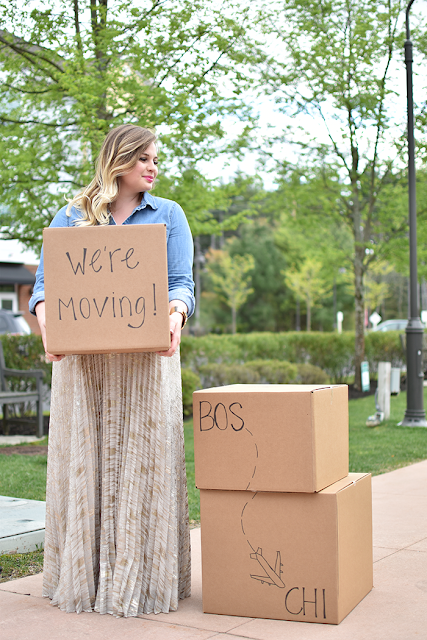 We’re making a trip to Chicago at the end of the week to find a new apartment, so wish us luck!